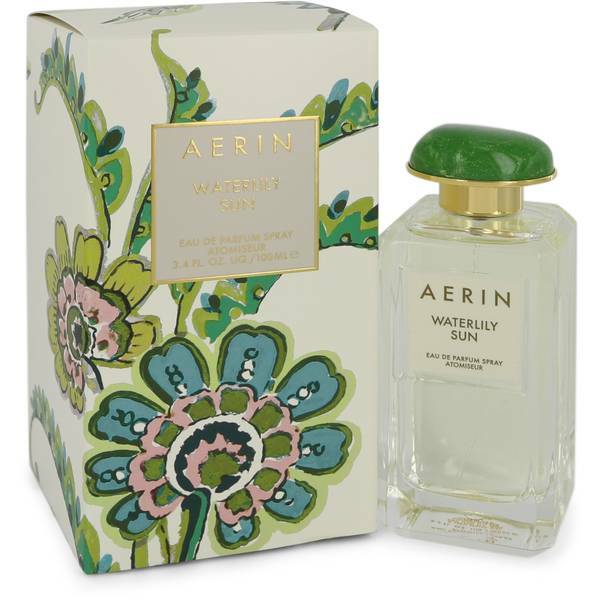 Aerin Waterlily Sun Perfume by Aerin, Aerin Waterlily Sun, introduced in 2014 by Aerin, offers a nature-inspired blend that is light and refreshing, yet heavenly in its evocation of sitting beside a pond covered with water lilies on a warm, sunny day. It opens with vegetal green notes and the crisp smell of bergamot. The heart features the perfume’s namesake scent of waterlily, which has a gentle floral-aquatic smell. Jasmine is intensely floral but maintains the green characteristic of the Read More Read More opening notes. The base of this fragrance is musk, creating a sweet, lingering finish. This lovely perfume works well any time of the day and any time of year but is particularly nice for spring and summer daytime wear. 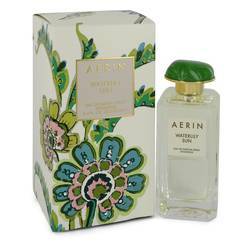 Aerin Lauder, the granddaughter of cosmetics maven Estee Lauder, created Aerin as a lifestyle brand to showcase her luxurious and eclectic style. The company offers cosmetics, fragrances, and home décor items that are elegantly simple and unique. All products are original, authentic name brands. We do not sell knockoffs or imitations.